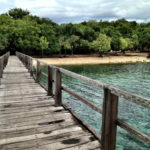 West Bali National Park is located on the tip of Bali Island, about 2 kilometers from Gilimanuk Harbour. The location is on the 2 regencies, Buleleng Regency and Jembrana regency. 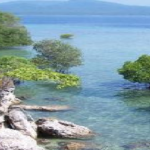 The West Bali National Park is a nature conservation area which is managed by a zone system. The ecosystem in The West Bali National Park is complete and has some uniqueness because of the fusion of two ecosystems, land and sea. 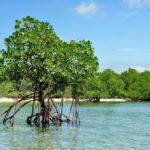 Land ecosystem covers for the ecosystem of Mangrove Forest, Beach Forest, Season Forest, Lowland Rain Forest, Over green, Savanna, and River Rain Forest Ecosystem. 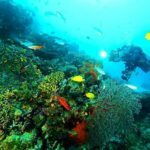 Whereas, the sea ecosystem covers for Coral Reef Ecosystem, Seagrass beds, Sandy Beaches, shallow marine waters and deep sea waters. 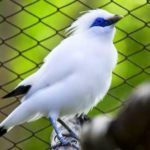 The West Bali National Park is a one of nature conservation area with the genuine ecosystem and as a last habitat for Bali Starlings Bird (Burung Jalak Bali). 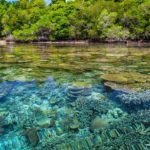 This national park has some variety marine life such as coral reefs and marine biota, has a mangrove vegetation, Rawa Payau Forest, savanna, and Season Forest. 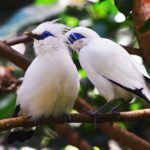 Something that makes West Bali National Park special is being the last home for Bali Starlings Bird (Leucopsar Rothschild). 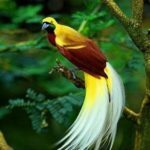 This beautiful bird gathered on the Prapat Agung Peninsula, exactly in the Brumbun Bay and Kelor Bay. 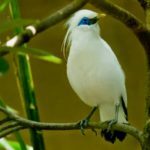 This bird is the only endemic species of Bali and in 1991 was crowned as the symbol of fauna Bali Province and protected by law. 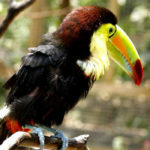 The appearance of this bird is very beautiful and one of the birds most in-demand lovers of ornamental birds. 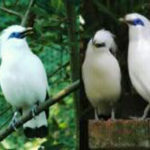 The spread of Bali Starling Bird only covers the village of Bubunan to Gilimanuk, which is approximately 320 km ². This National Park has a variety of flora and fauna that stretches across the area. Because of the many flora and fauna, this park is also used as a place for research, protection, and conservation of wildlife and its natural ecosystem. 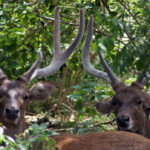 Fauna that lives in this park is very diverse, even there is a really rare fauna and protected life in this West Bali National Park. 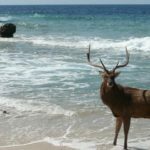 Fauna that inhabits in this national park there are about 17 species of mammals and 160 species of birds (Aves), there are also various types of reptiles and fish. The types of fauna that are protected in the park are among others Bali Starling Bird (Leucopsar rothschildi), Pangolin, Jelarang, Kapan-Kapan (Ratufa Bicolor), Hedgehog (Hyric Branchyura), Deer (Cervus Timorensis), Bull (Boss Javanicus), Turmeric, Deer (Trangulus Javanicus), Monitor Lizard (Varanus Salvator), Turtle Rider (Lepidochelys Olivceae), and so forth. 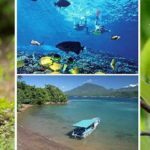 Flora that has been identified in West Bali National Park is approximately 176 species include trees, shrubs, climbing plants, creepers, herbaceous species, orchids, ferns, and grasses. The types of protected flora in the park are: Bayur (Pterospermum Diversifolium), Buniur (Bauxite), Bungur (Lagerstroemia Speciosa), Burahol (Steleochocarpus Burahol), Sandalwood (Santalum Album), Candlenut (Aleurites Moluccana), Kepah (Sterculia Foetida ), Kesambi (Schleichera Oleosa), Kruing Flower (Diptercocaus Hasseltii), Mundu (Garcinia Dulcis, Pulai (Alstonia Scolaris), Sawo Kecik (Manilkara Kauki), Sono Rivet (Dalbergia Latifolia), And Trengguli (Cassia Fistula). West Bali National Park has an area of 19,002.89 ha covers a terrestrial area of 15,587.89 ha of the land and 3,415 ha of waters. 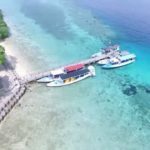 The existence of West Bali National Park has been confirmed based on Ministry of Forestry Decree No.493/Kpts-II/1995 dated 15 September 1995. 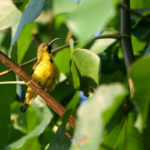 West Bali National Park has a wide range of accommodation and supporting facilities for tourism and research activities. 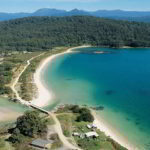 Accommodation is like a tour guide, guard hut, tourist cottage (for tourists break), and tower of view, walkways for easy exploration, diving equipment rental, speedboat, and so forth.